The University of New Brunswick unveiled a bold new look this fall, releasing a reinvigorated brand and announcing plans for an awareness campaign that will target future students across Canada. The university launched a modern, engaging, responsive new website in August designed to help future students discover UNB. 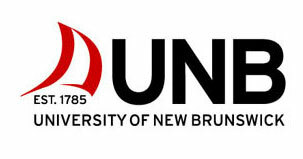 UNB began its rebranding effort in 2011. The team surveyed and interviewed nearly 10,000 people, including alumni, faculty, staff, students, prospective students, guidance counsellors and parents. The research findings formed the basis of the new UNB brand. "This is an exciting time for our university," says Eddy Campbell, President of the University of New Brunswick. "Our brand launch is really a celebration of our future - a future in which we proudly proclaim our strengths and achievements. The University of New Brunswick is one of Canada's top comprehensive universities - the world deserves to know who we are." This October, UNB will launch a dynamic new campaign to promote its programs and research across Canada and beyond. UNB's Director of Marketing says the university has been too quiet about its greatness for too long. "The campaign illuminates the creativity and strength of an institution that's been thriving for 230 years," says Sarah Martell, UNB's director of marketing. "It will tell the story of a university that has been doing things like quietly providing technology to Google and expertise to NASA. But it reflects a university that's speaking up."